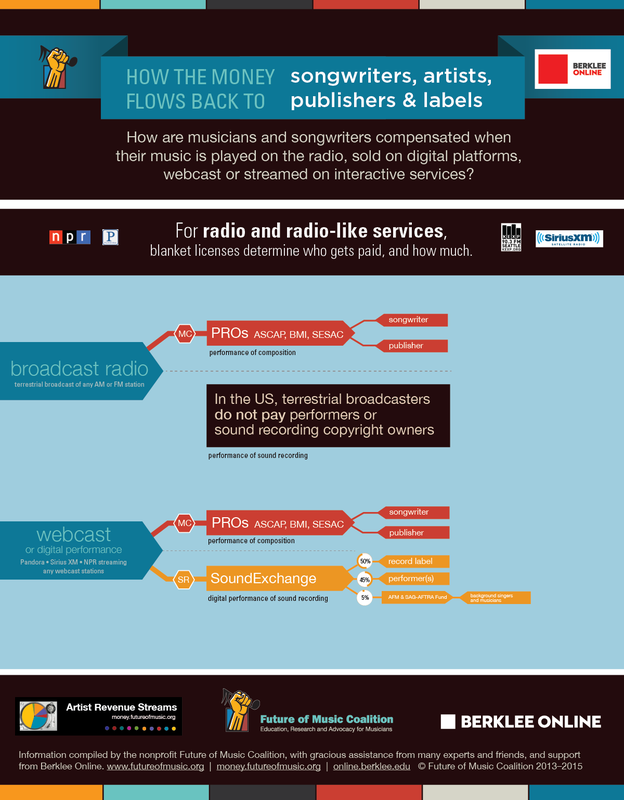 These are monies that flow to both performers and sound recording copyright owners. This includes non-interactive digital music service that pays through the use of a statutory license. Labels and performers are paid simultaneously, directly and separately. 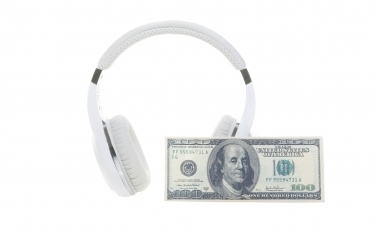 Artists who own their sound recordings are eligible to collect as the performer and label. 5% - goes to the AFM/SAG-AFTRA Intellectual Property Rights Distrbution Fund, for distribution to backing players, session musicians, and backing vocalists. Under the new rules, the only webcasters who have the ability waive their reporting requirements are noncommercial stations affiliated with educational institutions. Aruging that data submission requirements were especially challenging to student-run stations that often rely on volunteer labor and novice broadcasters, College Broadcasters Inc, a nonprofit group representing college radio, negotiated this provision into their deal with SoundExchange, which was approved by the CRB. But other non-comm stations and very small commercial webcasters will have to submit more data than they have in the past. Submitted by Whoops! (not verified) on January 29, 2016 - 3:19am. You say, "Those that were in the old “Microcaster” category would be unaffected; they’re still on the hook for a $500 minimum but probably nothing more." How are microcasters "unaffected" when there is no longer a 'microcaster' category? There is no longer any distinction whatsoever between a multi-billion dollar "radio" station conglomerate and a relatively small independent Internet radio station. One umbrella. I believe you meant to say non-commercial webcaster. And to be classified as non-commercial the station must qualify as a 501c non-profit or be operated by a govt. entity. Submitted by kevin on June 27, 2016 - 1:24pm. If you need access to the non-commercial tier to continue the low ($500) rate, you might consider a fiscal sponsorship relationship which doesn't require all the extra work of 501(c)(3) status. Get in touch if you need help finding a potential sponsor.